The road to the Far West Regionals in Salt Lake City is a path the South Bay G2002 team has traveled before. This is the second time this squad has made it to the Regionals, having attended as a wildcard a couple years ago. This time, the South Bay girls are entering play as the reigning CalSouth State Cup Presidents Division Champions. Coach Polo Aviles said his team knows full well the path will not be easy, and preparations began almost as soon as State Cup ended. With such State Cup experiences as well as challenging Coast Soccer League schedule the last two seasons, Aviles said his team is more battle tested than ever. The 2018 Regionals in Salt Lake City start on June 12. As part of the team’s preparations, the South Bay G02 team entered the Albion Las Vegas Memorial Cup tournament for the long weekend. The South Bay girls reached the tournament finals, before falling to Players SC and taking home a runner-up medal. South Bay will play under the new “AYSO United” brand, thanks to AYSO sister clubs in South Orange County. AYSO United is AYSO’s official club program, where players enjoy a more advanced play, participate in intense competition and receive cutting-edge training while still enjoying the benefits of AYSO and its Six Philosophies. AYSO United absorbed AYSO Pacific Soccer Club, where South Bay played under their umbrella to provide the team a greater challenge than San Diego County could provide. The team’s “home region” is Region 712—South Bay AYSO/South Bay Matrix, the Region where most of the team hails from. New players have been skillfully integrated and welcomed over the years. “I have learned over the years how to hold a team together. How to lift some up, how to calm others down, until finally they’ve got one heartbeat, together, a team and that’s what South Bay soccer is all about. It’s our recipe for success,” said Aviles, who also happens to be South Bay Matrix Director of Coaching. The G2002 team is actively fundraising for assistance in travel costs associated with the Far West Regionals. To help the team with a donation, please contact Luisa Dasis at ldasis@cox.net . South Bay Matrix competitive soccer teams put on an impressive show over the holiday weekend, with six teams making the finals of Memorial Day tournaments. As of press time, at least two champions were crowned. Overall, the following South Bay teams made finals: B2007 (Memorial Day Super Cup Champions), G2004 (Memorial Day Super Cup Champions), B2005 (Memorial Day Super Cup Finalist), G2006 (Poway Country Shootout Finalist), B2009 (Memorial Day Super Cup Finalist), G2002 (Albion Las Vegas Memorial Cup Finalist). South Bay Matrix is the competitive soccer arm of South Bay AYSO. “We only have eight teams overall, and to have six of them make tournament finals in one weekend is an impressive accomplishment,” said Anthony Millican, South Bay Matrix Coordinator. 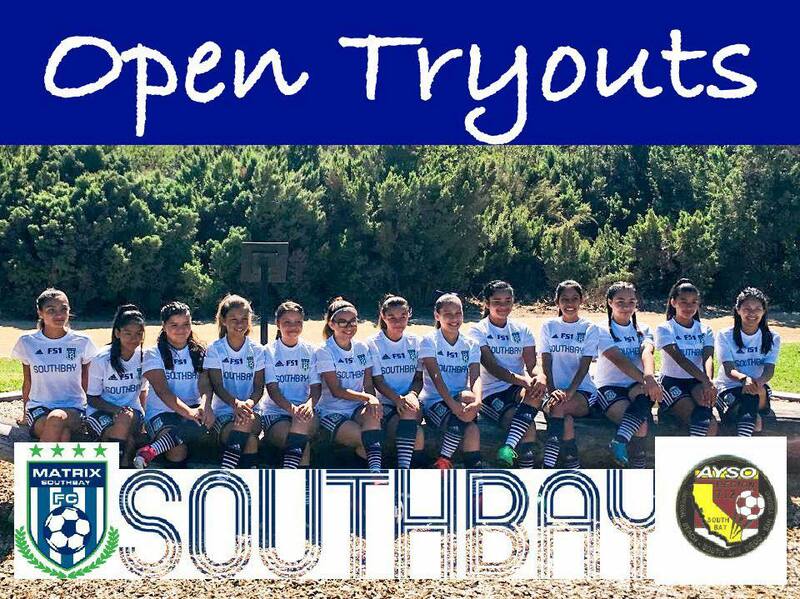 South Bay teams have a noticeable style of play, blending skillful soccer with tactical awareness. An example is B2007, which is coached by father and son combination Jose Govea and Jose Antonio Govea, respectively. The younger Govea was a South Bay AYSO standout in his youth, and is passing on his soccer knowledge to a new generation of South Bay players. The B2007 won their tournament final 3-2 vs. GPS SD, with a “golden goal” in the waning minutes of sudden death overtime. South Bay’s G2004 and B2009 teams are coached by Hector Romo, whose girls cruised to a 4-1 victory over Santee Matrix and whose boys lost a nail-biter in overtime on a golden goal. 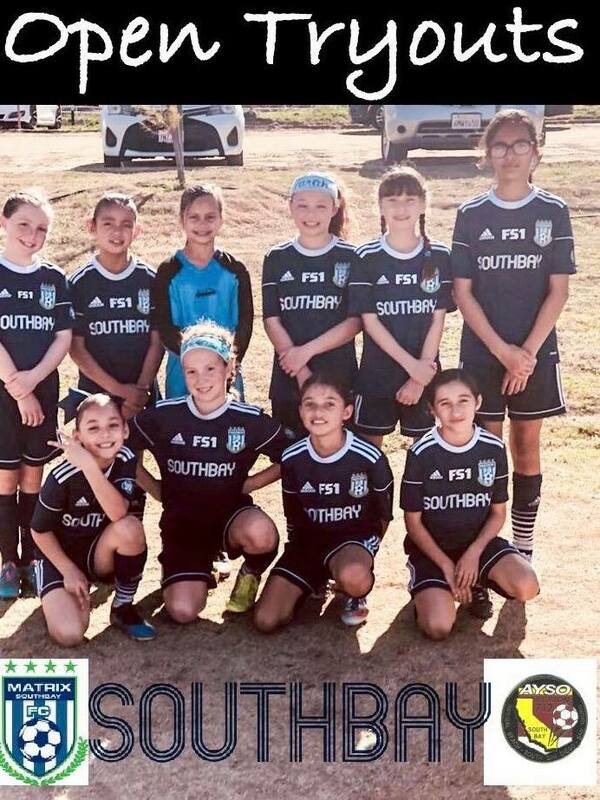 South Bay’s G2002 team is building momentum for its second appearance in the Far West Regional Championships in three years. The reigning CalSouth State Cup Presidents Division Champions start play the Regionals in Salt Lake City starting on June 12. As part of its preparations, the team entered the Albion Las Vegas Memorial Cup tournament for the long weekend. The South Bay girls reached finals, which were to be played at 12:30 p.m. Monday, and the results were not known at press time. Nearly all of South Bay’s G2002 squad consists of “home grown” players developed in South Bay AYSO Region 712, from South San Diego and Imperial Beach. Coach Polo Aviles himself is a Mar Vista High alumnus. Winning the State Cup was an incredible accomplish, a first for South Bay Matrix. The South Bay girls are pioneering in another sense as well. They will play under the new “AYSO United” brand, in South Orange County. AYSO United is AYSO’s official club program, where players are selected through a tryout. Once selected, players are guaranteed 50 percent of playing time. Players will also enjoy a more advanced play, participate in intense competition and receive cutting-edge training while still enjoying the benefits of AYSO and its Six Philosophies. Join us for opening training sessions! Did You Know…? In our inaugural season, our team won first place in our division in the Presidio League. Our girls are the 2018 AA-C South champions and looking to grow with additional players and continued focus on player development. Did You Know…? Our girls compete in the San Diego Development Academy. We have an experienced coaching staff and develop our players to be high school-ready, with many already making their prep varsity squads as freshmen. Our players routinely receive compliments on their skillfulness (footwork), style of play and determination. Imperial Beach, Calif. (March 20, 2017) – The South Bay Matrix Bay Football Club reveals new club branding and new color scheme logo. The previous burgundy color scheme will continue to form part of our AYSO Region 712 programs history through the South Bay establishment which covers Imperial Beach, South San Diego and San Ysidro. In selecting a new rebranding, we wanted the primary focus to be on South Bay. We really wanted to embrace our community orientation and make it a focal point. We wanted to give our competitive club members and fans something that readily identifies the club as South Bay’s team. 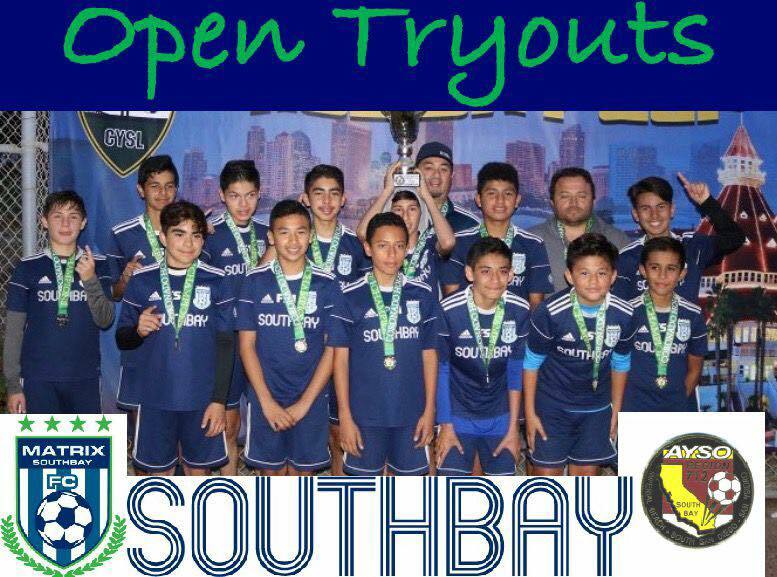 The South Bay Matrix FC (SBMFC) is South Bay’s competitive soccer program that serves Imperial Beach, South San Diego and San Ysidro. South Bay formed a year after the founding members of the new AYSO Matrix FC in its inaugural 2002 season. Established in 2003, the South Bay Matrix FC crowned themselves Presidio League Champions in their first season of competitive soccer participation. Since the early beginning South Bay has been a club to be reckoned with and has consistently won competitive/club soccer championships year in and year out from Presidio League to San Diego Developmental Academy (SDDA), to CalSouth State Cup President Finalist, Coast Soccer League (CSL) as well as several high level showcase tournaments. South Bay is also currently participating in the National Premier League (NPL), which is an invitation only prestige travel league. The club’s new Director of Coaching, Polo Aviles, is the original founder of South Bay Matrix, and actively oversees all operations of the SBMFC. Coach Polo is dedicated to transforming the club into a first-class youth soccer organization that focuses on the player development. SOUTHBAY JOIN NATIONAL PREMIER LEAGUE! This spring, our very own PSC SouthBay G2002 team will be participating in the US Club Soccer, Southern California National Premier League (SCNPL)! We are so proud to give our athletes the chance to play at this level. It’s a demonstration of their effort, dedication and love of soccer! Participating in the SCNPL also means our players have the chance to compete against some of the best players and teams in our region, and potentially in the nation, with opportunities for exposure to coaches at the next level of play as well. PSC SouthBay and SouthBay Matrix FC continues to grow! We are honored as a club to participate with US Club Soccer’s National Premier League this spring! It’s important to us to continue to expand the opportunities we provide for not only our competitive athletes, but also for our recreational and Matrix programs. SouthBay soccer strives to be a resource for players of all levels to grow and be successful. A one stop shop for all your soccer program needs. Competing with this organization is one more demonstration of how we are supporting and nurturing our players to enable them to compete at the highest levels possible. We are excited to benefit our athletes this way! Congratulations to PSC South Bay G2002 in the U15 age group for making National Premier League (NPL) for the 2017 season. Our team is breaking into the NPL soccer scene. The Southern California NPL serves as the National Premier Leagues (NPL) Division of the SouthCal Premier League. The SouthCal NPL Division is one of 19 leagues across the United States that are part of the NPL, which has been created to provide a national developmental platform with the highest level of competition in given geographic areas, and to elevate and change the competitive youth soccer landscape based upon fundamental principles in US Club Soccer’s 10-year vision. The champions of each NPL (including the SouthCal NPL) are awarded a spot in the US Club NPL National Finals. This team is a five time league champion that has moved up the ranks. They won back to back Presidio League Championship as well as back to back San Diego Development Academy (SDDA) Championships. Fresh off their Coast Soccer League (CSL) Championship in the Silver Elite South bracket, our highly talented G2002 team has been accepted to participate in the prestige Southern California National Premier League and is seeking a few more talented players for its 2017 Spring Season. If you would like more information, or to schedule a tryout at a scheduled training session, please contact Coach Polo Aviles at (858) 336-8529 or email Coach Polo at sbmfcpoloaviles@gmail.com. This team has an impressive track record of success, including reaching the finals of the State Cup President’s Division in 2015 as a U13G team. The team finished first in 2016 CSL Silver Elite South U15G, Flight 1 U14G of the SDDA in Fall 2015, after winning first in Flight 2 SDDA in Fall 2014. Coach Polo is an experienced teacher of the game, someone who believes in player development and implements strategies necessary to meaningfully carry it out.